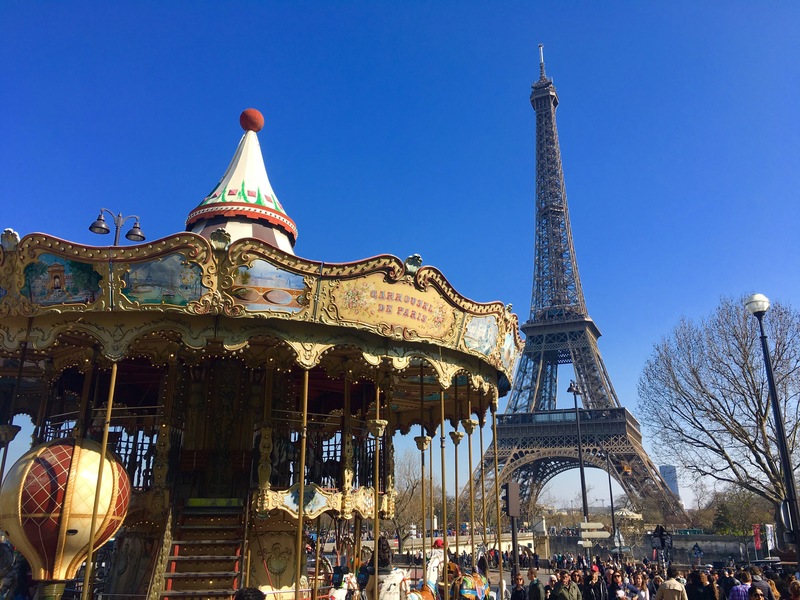 Although Paris is thought to be a city for romantic getaways with a partner, do not let this put you off if you’re single. It really is a must see for everyone and I had so much fun visiting with the girls for a weekend. A few of us have already been before so we didn’t cover every touristy area. 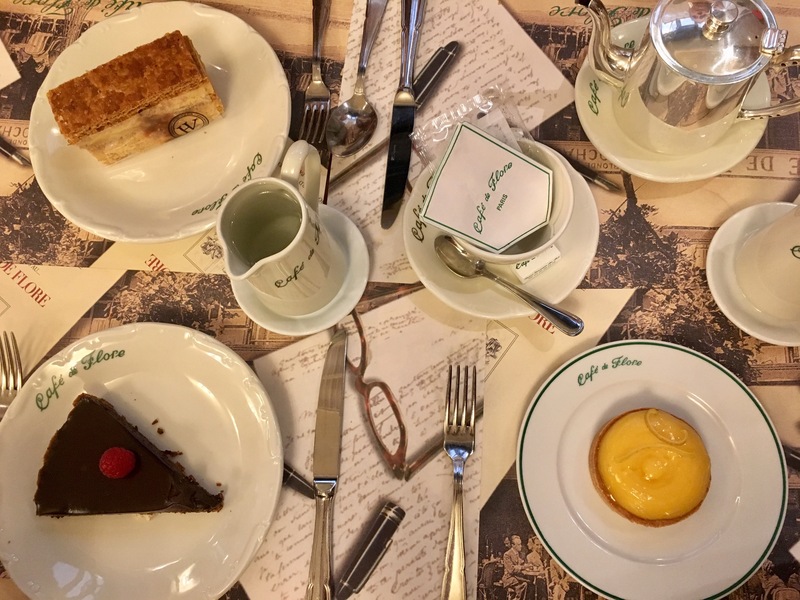 However still took advantage of the whole Parisian culture including croissants for breakfast, macaroons for lunch and French champagne in the evenings. (Of course). 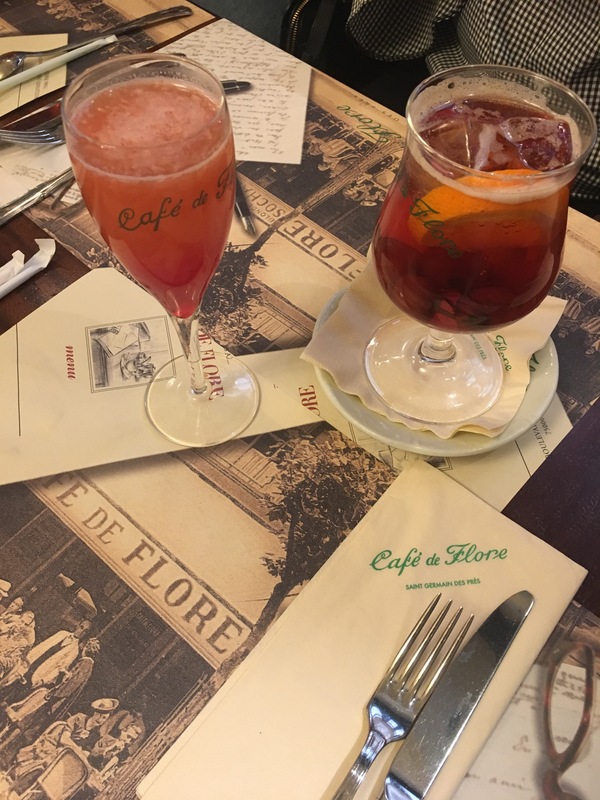 CAFÉ DE FLORE: Our first lunch was at the prettiest and most iconic coffee house. 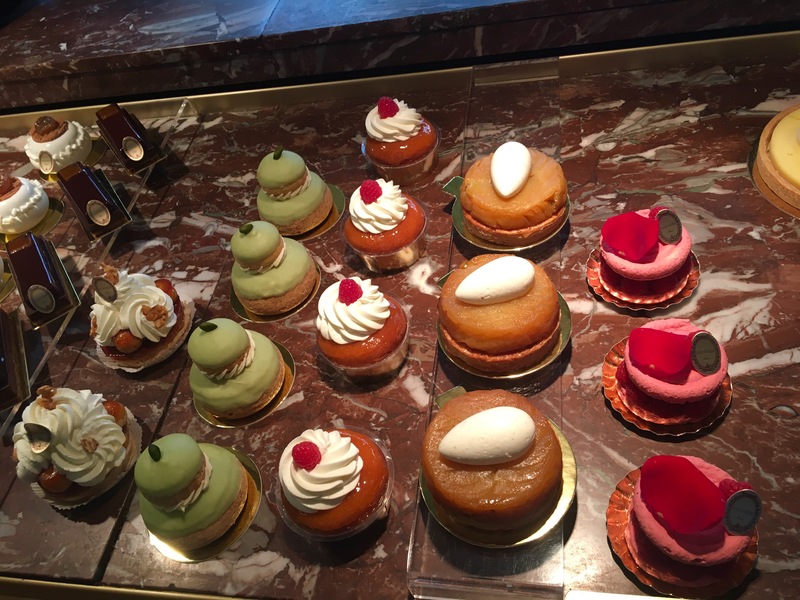 We indulged in savouries, cocktails and the best pastries/tarts I have ever tasted in my life. The service we received was perfect considering how busy the place gets. 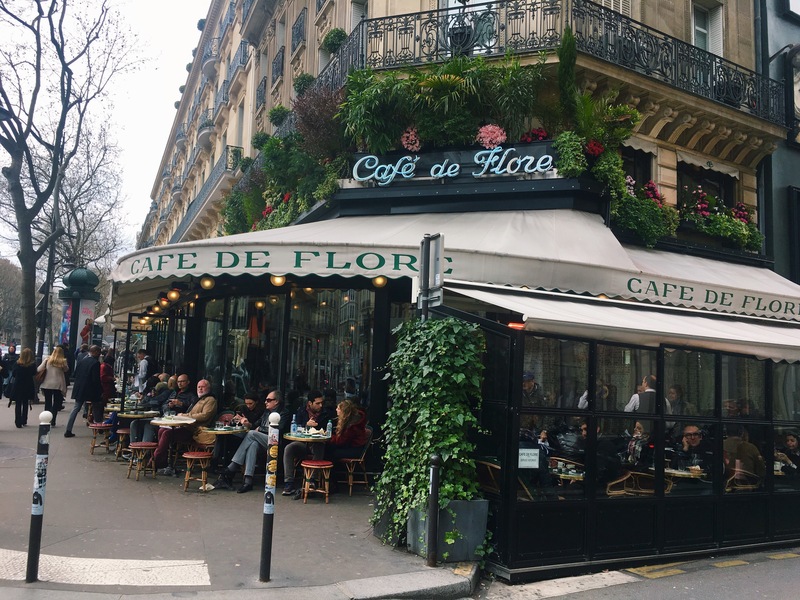 Situated in the middle of Saint Germain and popular to locals as well as celebs, eating amongst the cutest looking waiters all suited and booted made it one of my favourite things about the trip. You have to visit! 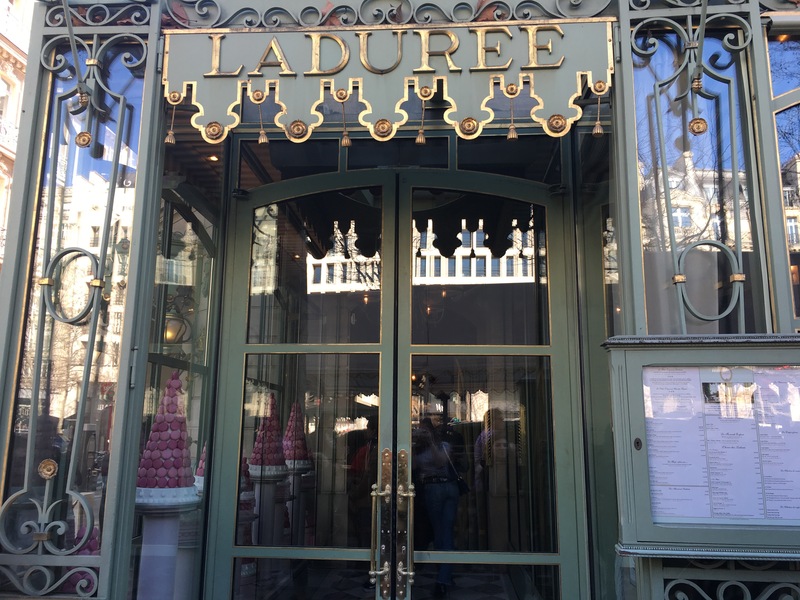 LADUREE: If you don’t eat macaroons in Paris, are you even in Paris? 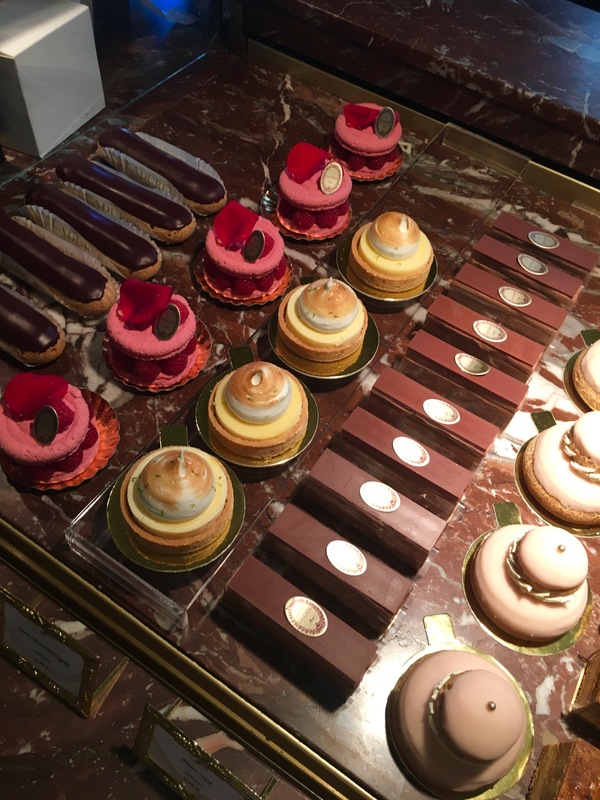 We had to visit the Ladurée store which also has a tea room and cocktail bar. There is a queue outside but doesn’t take long until you are in and drooling over every flavour available. The service again is perfect. They have at least 6 people ready to take your order and offer you a variety of boxes and options to make that photo a little bit more instagrammable. They know exactly what they are doing! 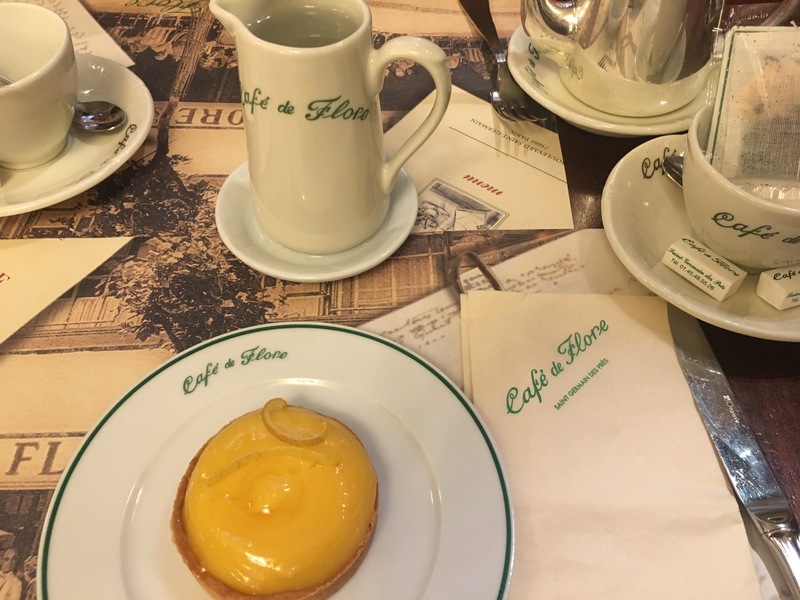 And although the place is very busy, you never feel rushed when making your decision about which little drop of heaven you want to put in your box. 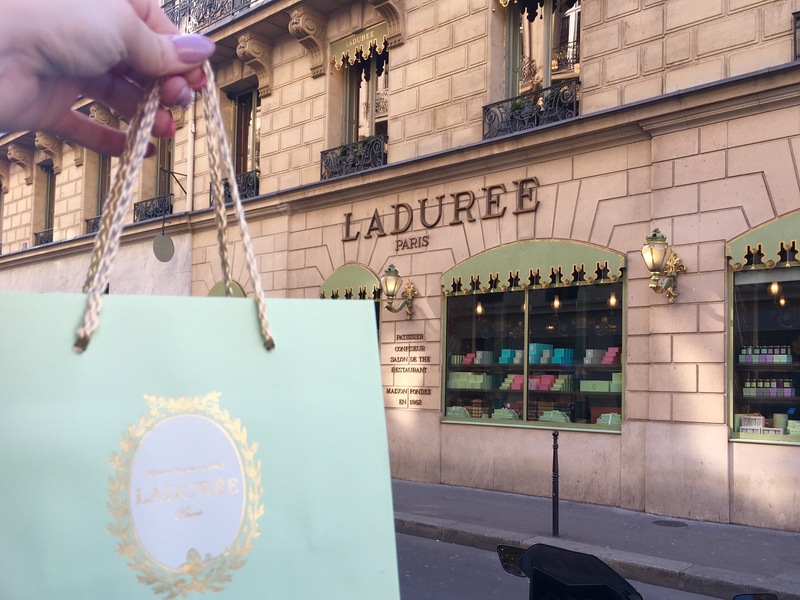 Walking out with a Ladurée bag will make you feel like you have just bought an expensive pair of shoes. I am really making myself hungry posting these photos! 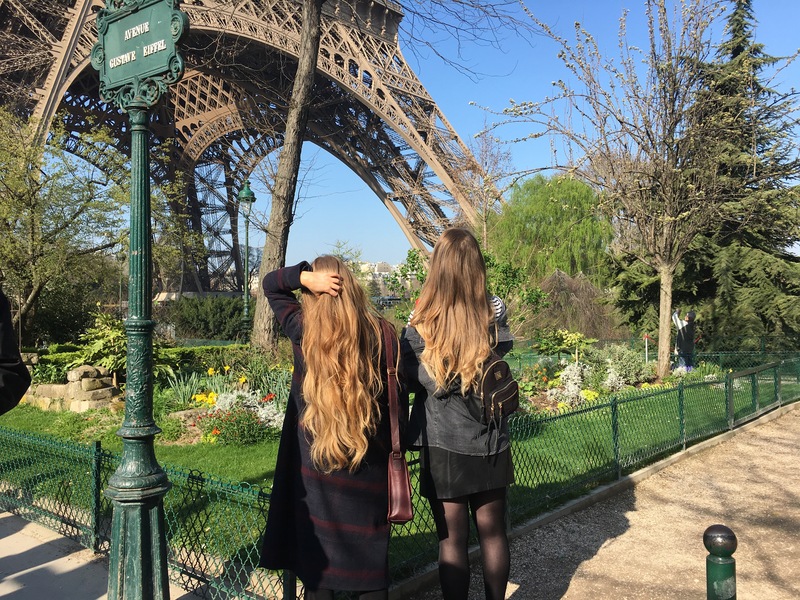 EIFFEL TOWER: Do I really need to mention it? The Eiffel Tower is so pretty. I would recommend visiting this at the start of your day as we queued for a good hour and a half just to get into the grounds (but filled our time by taking selfies). For €17 to go to the top its worth the wait. 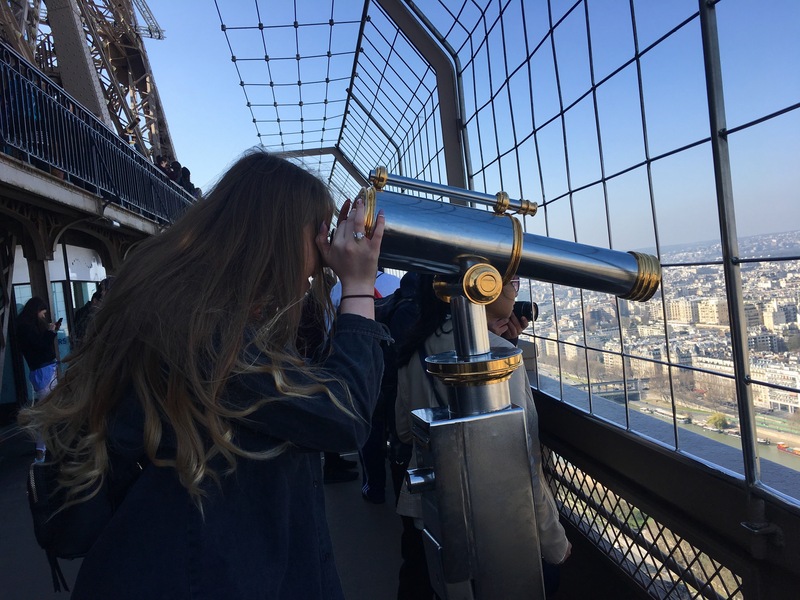 If you aren’t that interested in the views then you could always see the Eiffel Tower at night over dinner. It sparkles for 5 minutes every hour once the sun has set and it looks beautiful. We saw lots of brides having their photos taken on this carousel! Hence why half of it is cut out.. Enjoying ourselves in the queue.. GIRLS NIGHT OUT: Of course we went for cocktails in the evening. And although our weekend sounds as sassy as anything, we all got way too intoxicated to enjoy our last day to the fullest! But it was worth it. The atmosphere in Paris on a Saturday night is so pleasant. 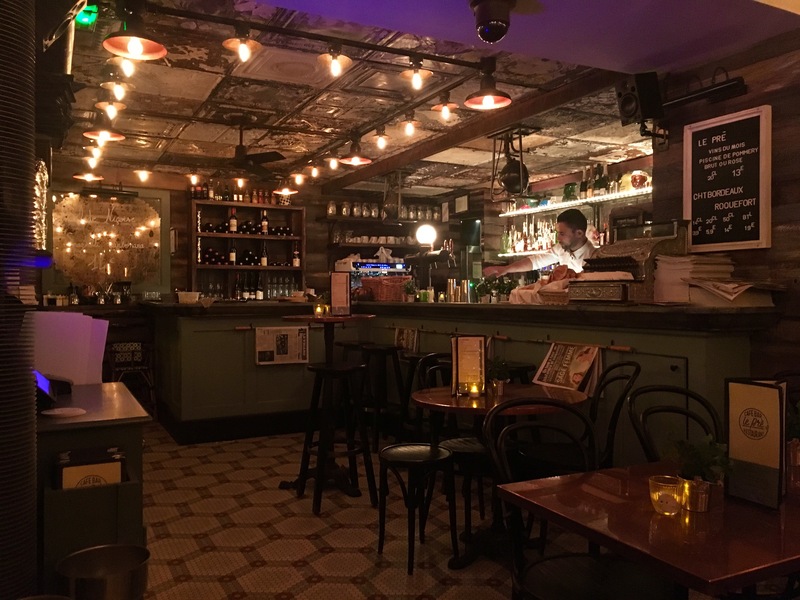 We had dinner in the cutest bar called Le Pre. Followed by drinks. A few hours later we were rolling around Paris in an Uber at 6 in the morning, preparing ourselves for breakfast at the hotel at 8. Oops! The bars are so nice (and measures are strong) that we just seemed to get a little carried away. But we were on holiday after all! Go shopping! 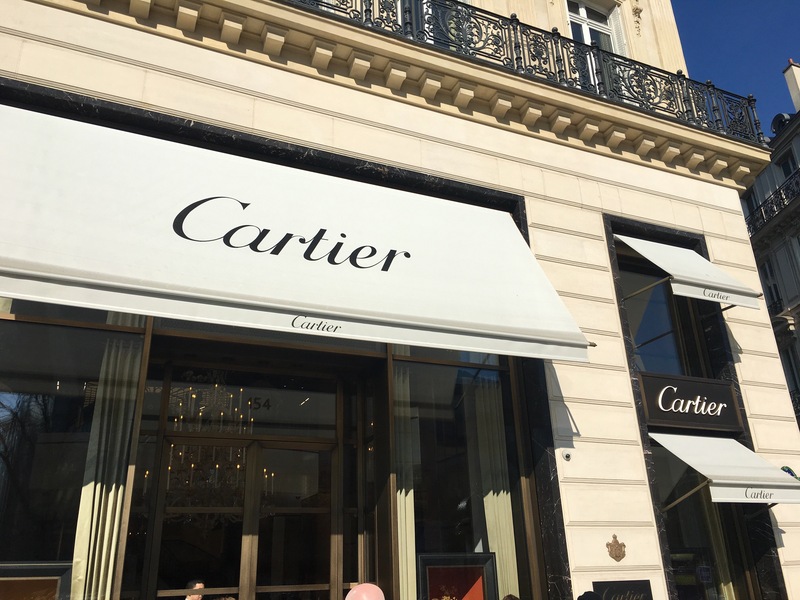 Paris is big on fashion and has many traditional boutiques that you will fall in love with. We also managed to be strong and walk straight past a Sephora store! The Louvre – None other than the famous transparent pyramids, where Mona Lisa sits. Pont de Arts – One of Paris’s most famous love lock bridges. The above is not even a quarter of what this authentic city has to offer and I would visit again and again. 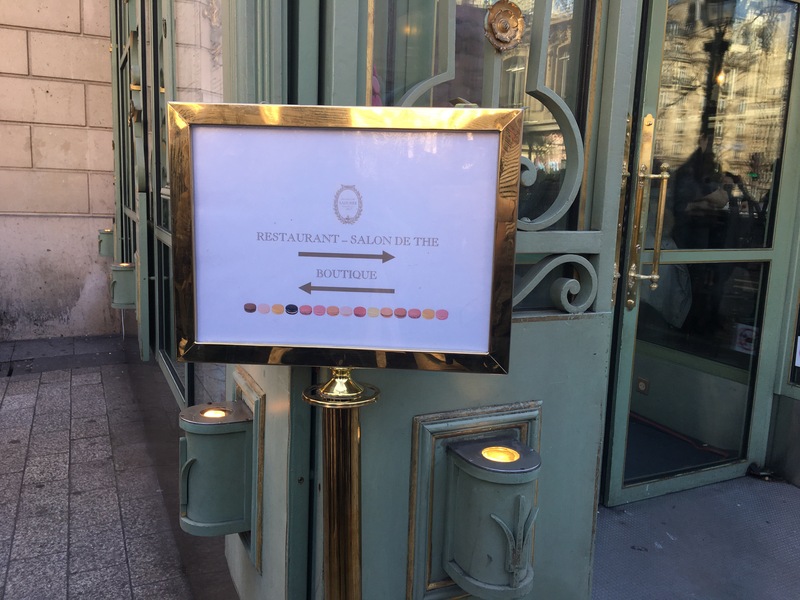 As you know from my other travel posts I like to use the GetYourGuide website to find things to do in the area and came across lots of interesting things like cheese and wine tasting, evening dinner cruises along the river Seine, Moulin Rouge shows with champagne and even a Gossip Girl tour! 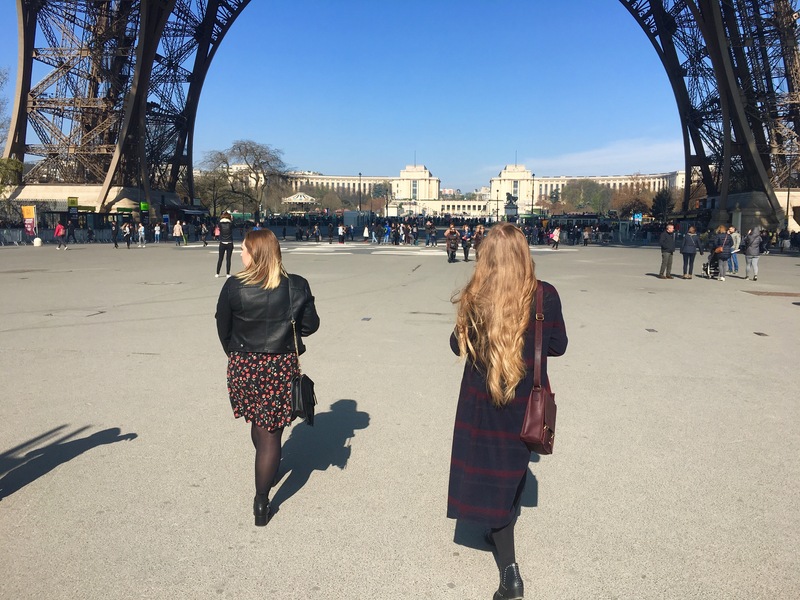 My Parisian outfit: all from ASOS. Behind the scenes of our Instagram shoot! 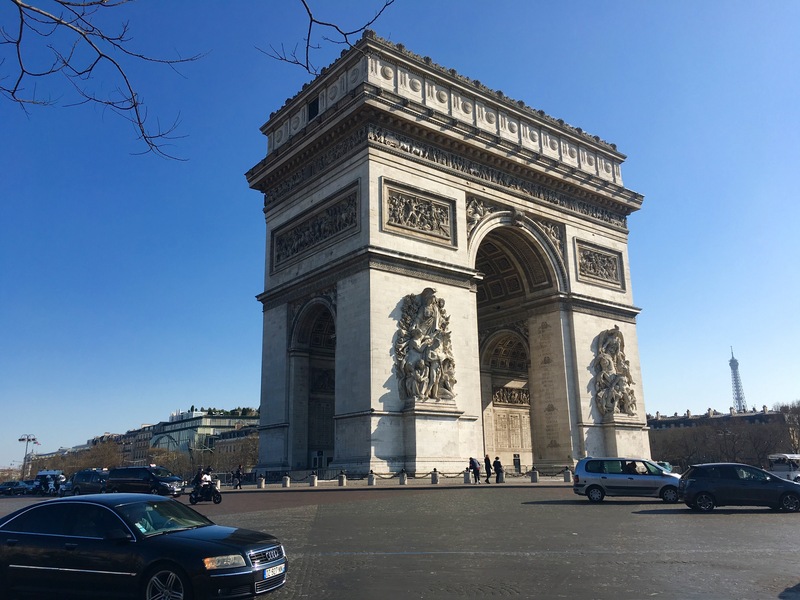 We took the Eurostar from London which was so easy and stress free compared to catching a flight. So I would definitely recommend doing this. Also, we used the metro every day we were there. It’s very easy to work out and get around and it only cost €30 for a 3 day pass. I can’t wait to book our next girly trip. 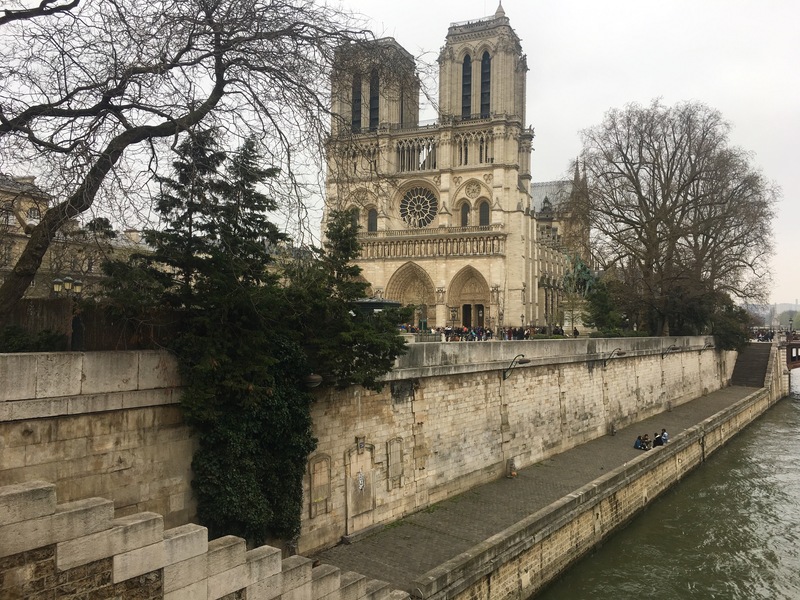 Thank you for being beautiful Paris. See you again soon! < Previous 10 WAYS TO BOSS A BROKEN HEART. Next > jingle BELLS OUTLET.